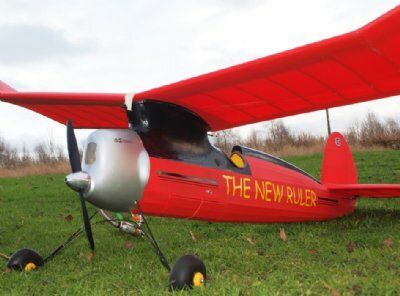 The New Ruler was designed in 1940 by Hans Struck. 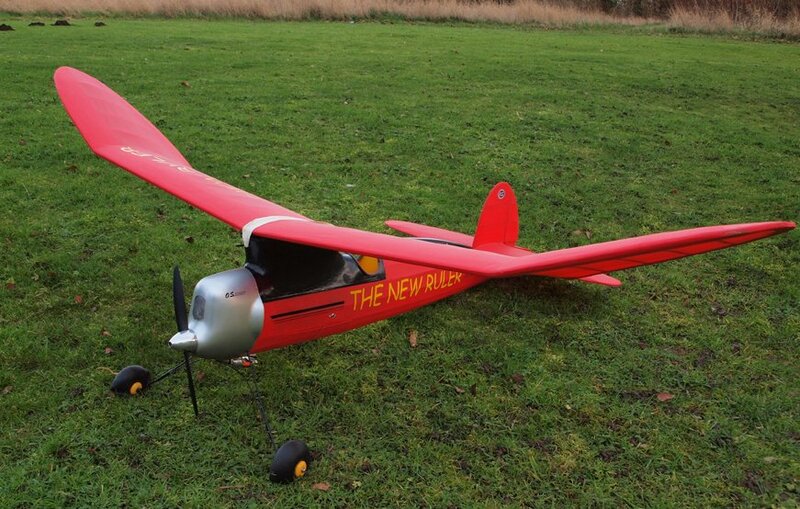 It has a wingspan of 72" and suits .52 size 4 strokes. The construction is traditional all wood vintage style, although a fiberglasss cowl is available. 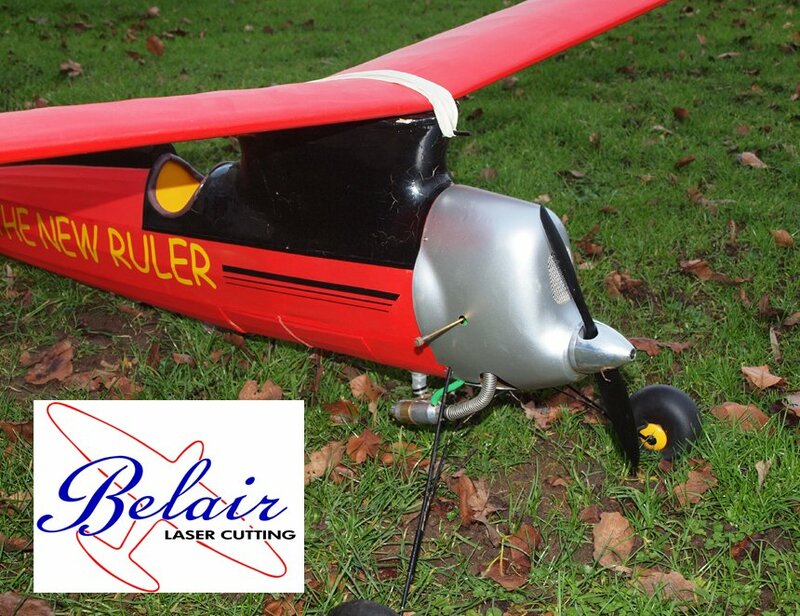 The Belair parts set includes all the shaped balsa and plywood parts, such as formers, bulkhedas, pylon parts, tail ribs, tip shapes and outlines required to build the basic airframe. The builder needs to supply stripwood and covering. 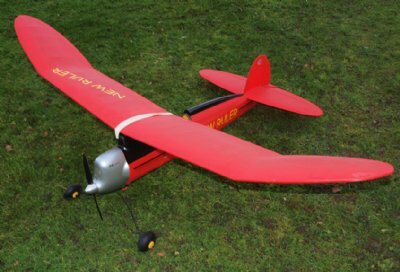 A full size plan is included although it is the original free flight version and the modeller will need to convert to RC if required.